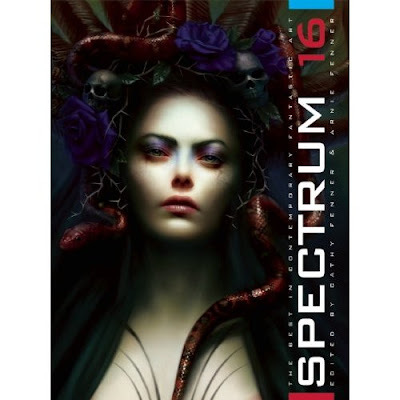 So this year's edition of Spectrum is now in stores and whew boy, it's a doozy. The book features loads of, well, fantastic art, including the likes of Jon Foster, Greg Manchess, Adam Hughes and Paolo Rivera. Be sure to check it out! Oh yeah, and I'm in there as well. 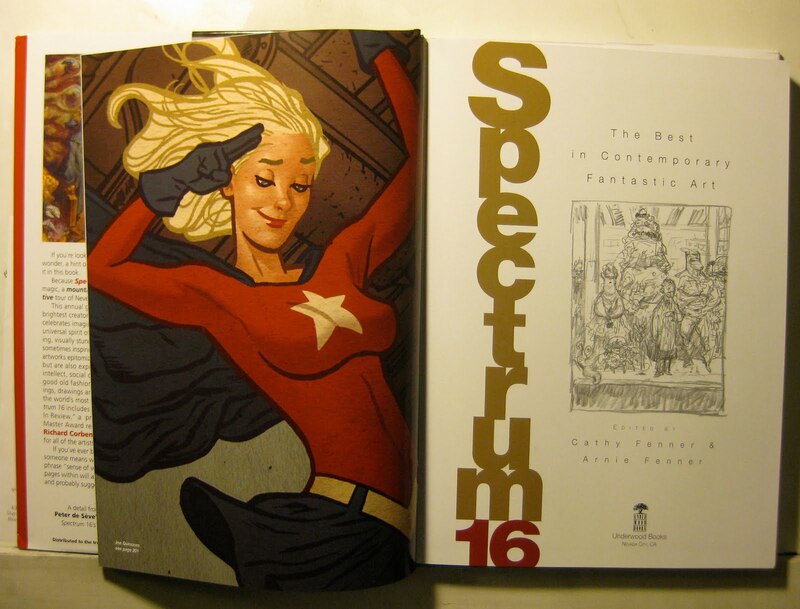 Thanks to the Spectrum folks for highlighting my art opposite the inside title page. I was flattered. You can find your copy either in bookstores or online. Here's a link to Amazon's listing for it. Have a happy turkey day everybody! Daaaaaaaaaaaaaamn Joe!!! That's an honor and a half! Congrats man! Can't wait to get my copy. I know! I was totally bowled over by it. Hope to see ya at stumptown 2010! How aren't you a comic book superstar yet? Seriously, your work just blows me away. I was introduced to you, as I'm sure many were, by Wednesday Comics, but I've been taking a look at other stuff you've done and it's just incredible. If you haven't been receiving tons of requests for work lately, it's just criminal. Congratulations Joe! Thats just the bee's knees or something of equal value. I also wanted to say that I am posting my fighters on my blog for people to vote on, so if you wanted to scoot on down to baggieofpoop.blogspot.com and cast your vote, and maybe pass the word along to Evan and some others???? Thanks Joe, and congratulations once again.